The khaki 2478 Earth Explorer Large Shoulder Bag from National Geographic holds your DSLR or mini DV camcorder and up to a 17" laptop and accessories. 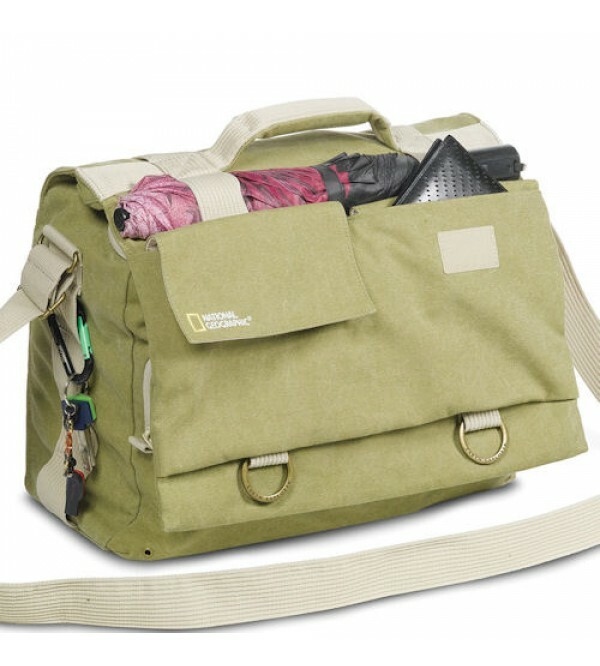 The bag features two removable inserts that are used to separate your gear from your laptop that is stored in its own padded compartment. The front has a zippered accessory panel. The front flap contains two touch fastened pockets for small items and the rear has a document/file pocket. Two loops on the flap can be used to attach optional pouches. Access to the interior is via a three-sided zipper that is protected by the large front flap. 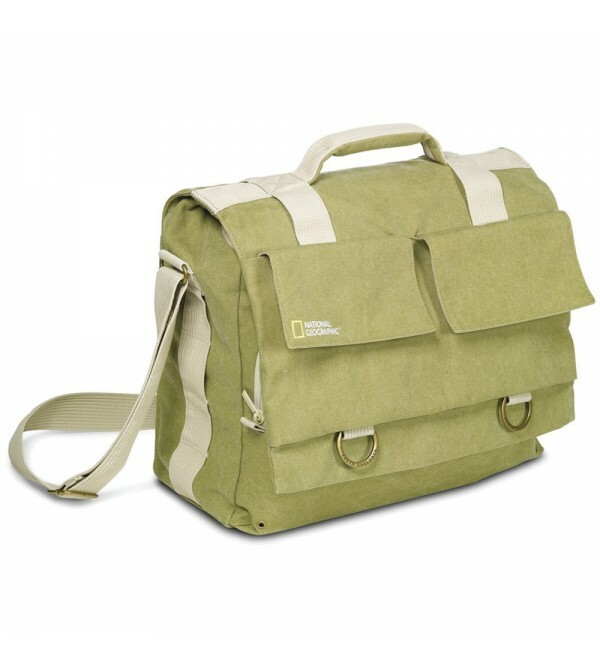 The bag is made from a cotton hemp blend and complemented by a foam padded interior. Portability is provided by an attached, adjustable shoulder strap, padded top carry handle and rear trolley sleeve used with an optional rolling luggage cart. Two removable pouches for a medium-size DSLR or mini DV camcorder and laptop accessories. These inserts separate your photographic gear from personal items.